Do you know an adult who has listened to you? Would you like to nominate them for an award, and both be invited to a celebration? This is a great opportunity for adults who listen to you to be celebrated because you are important and what you say matters. The Participation and Engagement Service are always looking at ways in which they can increase opportunities for the voice of children and young people looked after to be heard and their views and experiences shared. As of today, monthly online consultations will be made available for all children and young people looked after to participate in. Each will have a theme and be available for one month; until the new one is uploaded. In total 130 young people received awards after being nominated for achieving something special in 2018. The event was Christmas themed, award winners met Father Christmas and the Mersey Girls (Dance Troupe Finalists from Britain’s Got Talent), received a voucher, a selection box and their certificate. It was a special evening and fantastic that we were able to celebrate so many young people. Thank you to all those involved behind the scenes, both in organising this event, and in enabling these young people to achieve success. The children's charity Corum Voice are currently running their annual creative writing competition for children in care and care leavers. The competition, now in its fourth year, is called 'Voices' and it is dedicated to amplifying the voices of children in care and care leavers by giving them a platform to write and be heard in a creative and expressive way. This year’s theme is ‘Growing Up’, and children in care and care leavers are invited to write any piece on this under 500 words. This can be anything from a short story, poem, rap or song. We are no longer based at Moreton Family Centre and have moved to Pilgrim Street Arts Centre building in Birkenhead. Some young people have been having trouble trying to find a way to get here from the bus station as they are not familiar with the route. There is a map below with the two different routes that I use when I come in to do some work for the service. I hope it helps and makes it easier for you to find us. One route is in black and one is in pink. As you know from a previous post, this week on Wirral we have been celebrating National Care Leavers’ Week. It’s been very busy, lots of fun, and really good to see so many Care Leavers getting involved. One Care leaver even travelled from Leicester to join us! (Thanks Stacey). We would like to thank all of the Care Leavers and PA’s that joined in the celebrations and helped to make this week the success that it was. The Participation and Engagement service has been very busy creating a new Right Side of Care pack. The pack was originally created in 2008, and was last updated in 2012. As many of us know; departments move, laws, entitlements, contact numbers and so on all become outdated and some things have just over all disappeared, so this year a massive piece of work has been going on to get everything back up to date and looking fresh. The recruitment process here at Wirral is extremely challenging and competitive. With the aim of recruiting only the very best people for the job, young people were once again involved in the appointment of three new Heads of Service in the Children Social Care department. National Care Leavers’ Week is about highlighting the needs of care leavers, and encouraging the agencies responsible for looking after them to work in a coordinated and effective way. Wirral will be celebrating Care Leavers week, commencing Monday 22nd October 2018 and if you’re free we would love you to join us. There are various free activities that will be going on throughout the week and excellent prizes to be won. Please click on the link below for more information about the activities planned and speak to your Personal Advisors if you would like to get involved. Earlier this year, a group of young people met with the Director and his team to ask them some questions young people had put forward and wanted answers to. (The full story can be found further down in the news articles). One of the agreed actions following this meeting was to consider different ways young people can feedback about their experiences whilst in care. Would you like to become a Young Inspector? Young Inspectors is a programme to bring young people together and support them to influence their local services across Wirral. What Will You Do as a Young Inspector? Below is the new management structure for Children’s Services. The changes will be in place formally from 1st July 2018. Reigning Wirral champions last month hosted the annual North West Care Leavers Football Tournament at Tranmere Rovers Football Club. 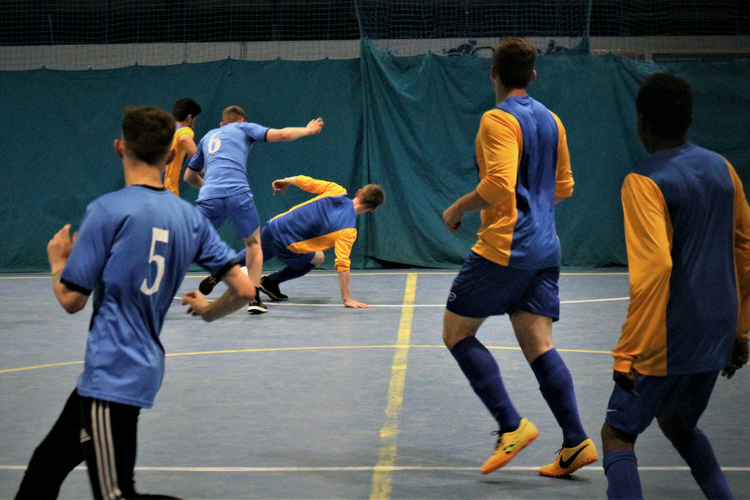 The event saw ten teams of youths from leaving care services across the region battle it out in TRFC’s indoor area to become victors. A prestigious title in the leaving care world, the Wirral team bravely defended their claim to victory on the hot spring day. Unfortunately for us, this time the team from Tameside took home the trophy. On Thursday 31st of May 2018, myself and three others, Jonathan, Robynn and Teagan all attended a meeting at Cheshire Lines building to ask the Director and his team some questions. Why don’t we get told when a case is re-opened? There is no reason why we shouldn’t be told, we should be informed and it should be discussed with us. We received an impressive 54 nominations for the Listen to Me Awards this year - thanks to everyone who nominated! We are looking for a name and logo for our new and exciting Exploitation team which is being set up in Wirral to help keep young people safe from abuse. Think outside of the box, something that will stand out and will have a meaning for young people. "Someone taking advantage of you either sexually or criminally, for their own benefit through threats, bribes, violence, and humiliation or by telling you they love you. They will have the power to get you to do things for their own, or other peoples benefit or enjoyment"
The latest Ofsted monitoring visit took place on the 14th -15th March 2018. This was the 5th monitoring visit since the local authority was judged as inadequate in September 2016. The visit focused on the Integrated Front Door (IFD). There are a lot of changes currently taking place in Children’s Services that have been designed to bring about positive change that will improve the consistency of support for children and young people and their families on Wirral, and the quality of service that they receive. Hello, my name is Julieanne. I’m 17 years old and currently a care leaver working for the Participation and Engagement service as an apprentice. I’ve been doing work for the Participation and Engagement service since 2015. This year’s conference was organised by the Children in Care Council, the Care Leavers Councils and the Participation and Engagement Team. I personally think that this conference was a great success. It took place at Wallasey Town Hall at 2pm. We put together workshops for the professionals to get involved in during the conference and provided refreshments during the break. The theme of our conference was ‘Contact’. A new creative writing competition has been launched in Wirral which could see your own story published online! The inspiring stories competition is for young people up to the age of 25 who are fostered or children of fostering families across the North West and Yorkshire. To take part you'll need to get creative and submit an inspiring story, it could be about a personal account of being fostered or an inspirational tale. Short breaks survey- Have your say! The council is asking young people for their views on the short breaks service to help see what can be done to improve it in future. Short breaks are for children with special educational needs and disabilities, giving them the opportunity to develop friendship groups and grow their independence. The survey will help find out how current services support young people’s independence and look at options to help you more in the future. Have your say on what's important to you! All of the councils in the North West of England are working together to try and ensure that children and young people have the best experience possible whilst they are in care. They want to identify what is important to you, so that they can tell the adults that make decisions about these things at a conference in November 2017. To let them know what you think you can complete a survey online. If you complete this, we will not be able to reveal your identity.